Quantum memories are devices that can store quantum information for a later time, which are usually implemented by storing and re-emitting photons with certain quantum states. But often it's difficult to tell whether a memory is storing quantum or merely classical information. In a new paper, physicists have developed a new test to verify the quantum nature of quantum memories. 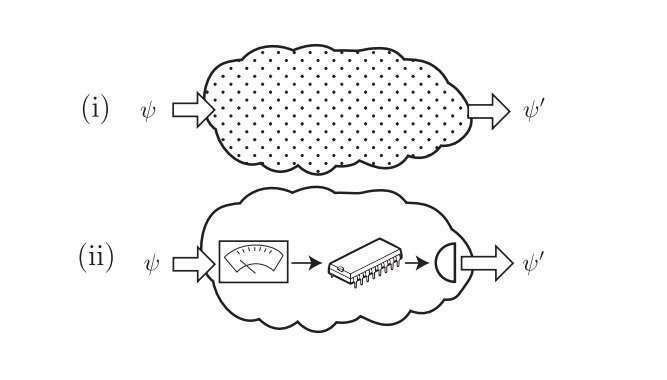 The researchers, Denis Rosset, Francesco Buscemi, and Yeong-Cherng Liang, have published a paper on the quantum memory test in a recent issue of Physical Review X. "Quantum memories are indispensable components of long-distance quantum communication networks and potentially even in a full-scale quantum computer," Liang, a physicist at National Cheng Kung University in Taiwan, told Phys.org. "For these components to serve their purpose, it's essential that they can preserve, at least, the quantum entanglement between certain inputs to the memory and whatever other parts that did not enter the memory. Our work strikes the right balance in certifying any device that possesses this ability while making the minimal assumptions." As the scientists explain, the quantum entanglement between the system stored in the memory and any remote systems not in the memory must be maintained for the entire storage time. If this entanglement is broken at any time, then the device no longer functions as a quantum memory but rather as an "entanglement-breaking channel" and as a result can transmit only classical information. Although currently there are tests that can verify the quantum nature of a quantum memory, these tests have certain limitations. For one, they require the experimenter to trust that the measurement and state preparation devices used by the quantum memory are accurate. For this reason, these tests are called device-dependent protocols. However, a test that makes no assumptions cannot be "faithful," meaning it may overlook some genuine quantum memories. This is because these methods test for the violation of a Bell inequality as verification of entanglement, which is sufficient but not necessary, as some genuinely quantum channels do not violate Bell inequalities and so would not pass this test. Although it would be ideal to design a test that is completely device-independent, the researchers explain that it is not possible to test a single memory in this manner, even in principle, due to the need to test the quantum memory at two different times. However, their new test is measurement-device-independent, meaning it still requires the state preparation device to be trusted, but no assumptions need to be made regarding the measurement device. The new test is also faithful, meaning it can correctly identify all quantum memories that function as non-entanglement-breaking quantum channels. The new test uses a semiquantum framework that is very similar to that used in some tests of entanglement in quantum states, in which the entanglement refers to correlations in space, in contrast to the time-like entanglement in quantum memories. Conventional protocols for testing for space-like correlations often use two characters, Alice as the sender and Bob as the receiver of quantum states. But since quantum memories involve time-like correlations, the protocol needs only a single character, whom the researchers call Abby, to act as both the sender and receiver at different times. In the test proposed in the new study, by comparing the relative frequencies of the signals that Abby sends and receives, it is possible to estimate the time-like entanglement and therefore certify that a quantum memory can store quantum information. The researchers showed that the new test is robust against noise and losses, and they expect that it should be possible to experimentally perform the test with current technology. The test would then provide a very useful tool for the future development of quantum memories. "In the development of novel quantum technologies, it's crucial that there exists a reliable way to benchmark the relevant components and make sure that they function as expected," Liang said. "Our findings provide a way to certify one of the most important features of these components while making sure that we are not making more assumptions than necessary. With these tests, we hope that it simplifies the quality control procedures of quantum devices while not falling into the trap of making unjustifiable assumptions."